The Milwaukee® 177mm (7”) Nipping Pliers feature hardened jaws with an optimized blade angle for cutting and pulling nails, screws, fence wire, and other materials. The 177mm (7”) Nipping Plier feature an iron carbide edge for maximum cutting life. The pliers’ smooth jaw design will not marr finish surfaces during pull or pry applications. 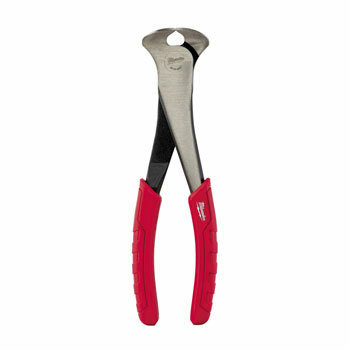 The 7” Nipping Pliers offer a durable forged design that are resistant from rust, and comfort grips that will not peel.